Pristine, like-new, top-floor unit with beautiful Park View and Elevator Access. Carlsen B Model with 2 Bedrooms/2 Bathrooms. NEW AC with Smart Control Thermostat September 2018. Upgrades include: 42" WHITE Merillat CABINETRY, upgraded carpet and appliances. Features include White Corian counter tops, upgraded light fixtures, blinds, crown molding, walk-in closet in Master Bedroom, dual sinks in Master Bath, tray ceiling in Master Bedroom and Phantom Screen to terrace overlooking park. Ceramic Tile in all wet areas with wall-to-wall carpeting in living room/dining room and bedrooms. One car garage and exterior storage unit included. Concrete block construction. Ownership comes with full privileges of the exclusive Artisan Park Clubhouse complete with fitness center, bar and grill, multipurpose room, summer kitchen, billiards, plasma TV's, salt water heated pool and waterfall spa. The club hosts numerous classes, happy hours, holiday parties and events! 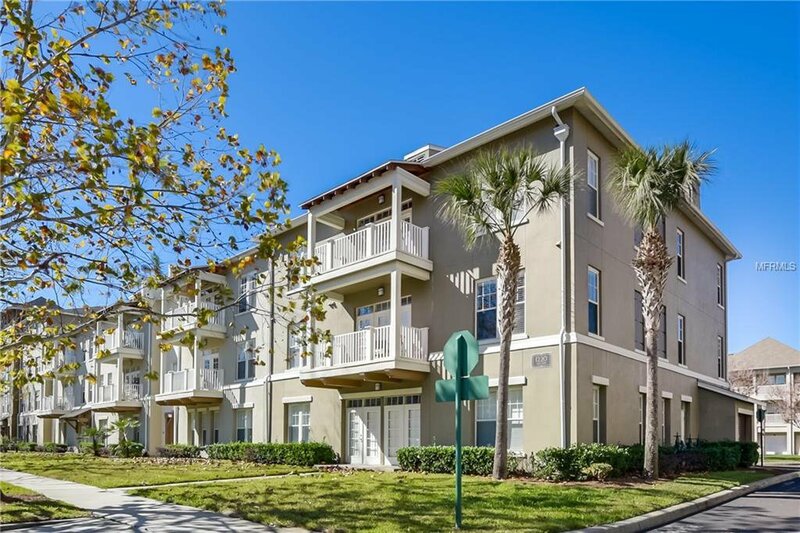 Condo fee also includes use of the car wash. Close to Disney Theme Parks & Resorts, approximately 20 minutes to Orlando's International Airport! Easy access to I-4, the 417 and 429. Furniture Negotiable. Listing courtesy of C21 BLUE SKY REALTY GROUP. Selling Office: BETTER HOMES & GARDENS FINE LIVING.